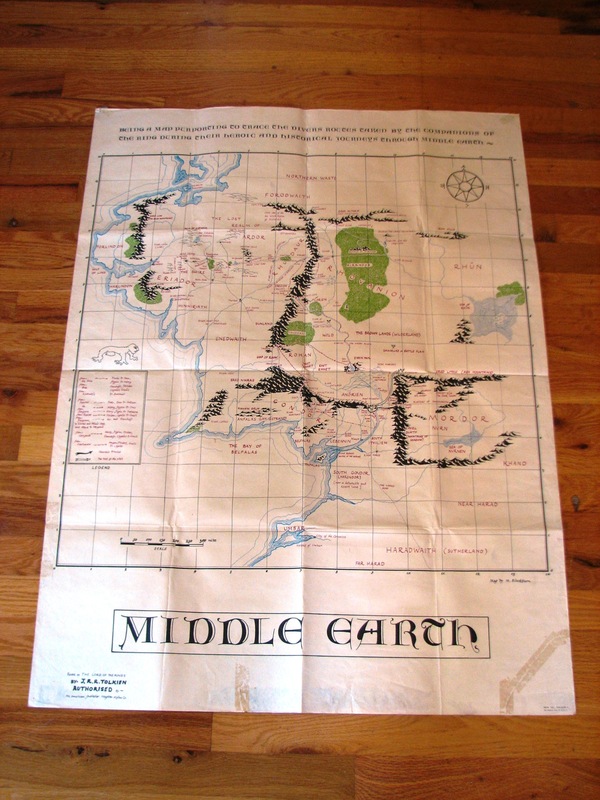 TolkienGuide.com - Middle Earth Map Poster, 1968 Original, 30" x 40"
Middle Earth Map Poster, 1968 Original, 30" x 40"
For Sale: Middle Earth Map Poster, 1968 Original, 30" x 40". Multi-colored. Has fold lines and two taped tear repairs. Map by M. Blackburn. $400 or best offer.